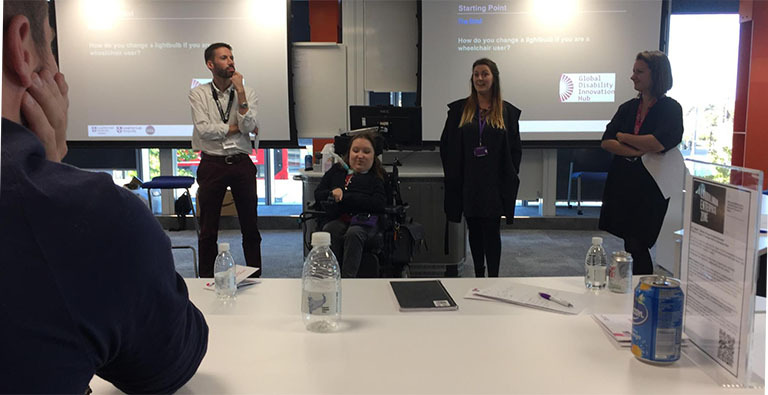 We recently took part in a hackathon exploring inclusive environments with the Global Disability Innovation Hub and Loughborough University London. Assembled into teams merging various skills and expertise in design, business and computer technology, we set to work on the design challenge presented by Iain McKinnon, Director of Operations at GDI Hub along with Emma, a powerchair user. How do you change a lightbulb if you use a wheelchair? Not always as simple of a task as it ought to be, and practically impossible if you use a wheelchair. The challenge began; five teams, three hours, and one winning concept. Hearing Emma’s first hand experiences helped the teams understand how existing surroundings mean she’s not only had to adapt physically, but also emotionally, to overcome daily obstacles. Through hearing her stories we were motivated to find an innovative solution. 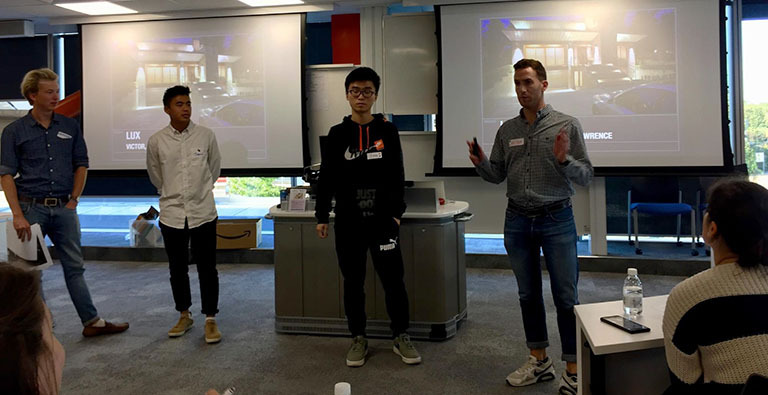 One team worked on a concept for an app that would encourage volunteers to aid those in need of assistance whilst being able to donate to a chosen charity another group took a more hardware-based approach, adapting existing haptic feedback technology. We decided to challenge the conventional idea that the light bulb had to be fixed in the middle of the ceiling. Our concept involved the use of a lightbox and specially positioned mirrors. The wall mounted lightbox would contain LED’s focussed through a lens, out of the box and up the wall. The light beam would reflect off an angled mirror where the wall and ceiling meet and into the middle of the ceiling where the light is then dispersed around the room. 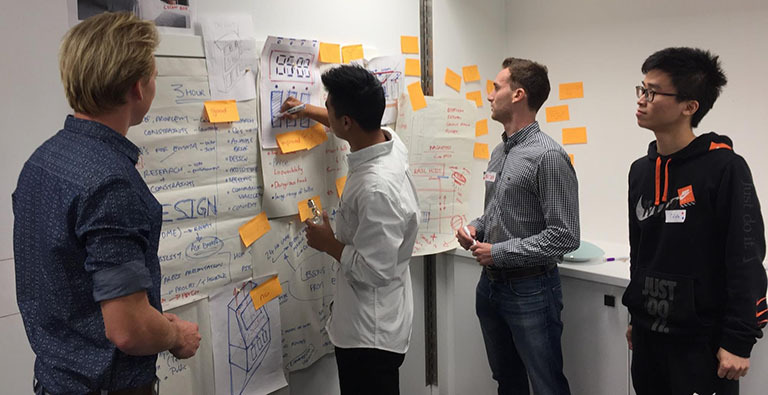 The concept received a highly commended award from the judging panel, and we were thrilled to help further the conversation about inclusive environments along with the GDI Hub and Loughborough University London. Find out more about the Global Disability Innovation Hub.